Cocktail parties are full of fun, eating, mingling, and drinking. It can be a very enjoyable event where you can get to know new people, strengthen relationships, and flaunt your personality and style. However, if you’re like the rest of the world who aren’t equipped with enough fashion sense to know how to look dashing anytime or anywhere, you may be asking yourself what kind of dress you should wear for your cocktail party. Feel like you’re not prepared to dress for a cocktail party? Don’t worry. Finding out what type of dress you should wear for a cocktail party doesn’t have to be hard. All you really have to do is familiarize yourself with the basic fashion rules of cocktail parties. So how exactly do you dress for a cocktail party? Do you wear long gowns? Are pants okay to wear? Do you have to look fancy? Or do you simply have to strive for a smart casual look? The answer highly depends on two things: what kind of cocktail party are you attending and where is the cocktail party venue. By knowing these things, you’ll be able to figure out what dress style you should go with. Cocktail parties are usually set with themes. Party themes can range from casual garden parties and serious corporate themes to a fine and elegant night of mingling. Generally, the theme will dictate the dress code for the entire event. Dress codes are basically labels for various dress styles. Usual dress codes include cocktail, formal cocktail, costume, upscale casual, and corporate. For a standard cocktail dress code, skirts, dresses, and dress pants are the status quo. Formal cocktails, on the other hand, may require longer dresses. As for costume parties, the dress would have to fit the party theme. When it comes to corporate cocktail parties, both dresses and pantsuits can be worn. And for upscale casual parties, you just have to dress smart casual. But take note that jeans are a huge no-no. Time is yet another factor for choosing the right dress for a cocktail party. If the event is to be held at the day, you can get away with more laid back styles. However, if the party will take place in the evening, you might have to wear something more fancy and upscale. A beautiful party venue can be a platform for you to flaunt your style. If you have any idea where the party will take place, try to choose a dress that will fit in with the venue’s overall vibe. This one’s a classic. You should always have a little black dress in your wardrobe. It’s the safest choice for most types of cocktail parties. It’s a safe color that goes with pretty much anything and is usually body-flattering. However, do take note not to show too much skin. A lot of little black dresses can get too little if you know what we mean. If you’re attending an upscale party, you can never go wrong with an embellished or laced dress. 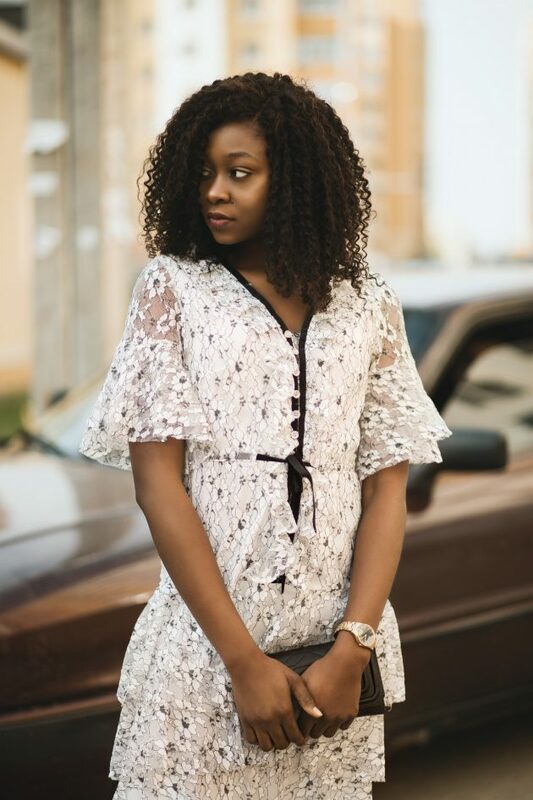 Dresses lined with embroidery, sequins, feathers, beads, or other flashy elements can certainly give you that great Gatsby fancy look without getting too elegant. Lace, on the other hand, can make you look extra feminine and polished. Just make sure not to go overboard with these two elements. It’s really an either-or situation if you want to look dashing. A strapless dress is probably the easiest style to pull off. Strapless dresses usually offer an hourglass figure that will make you look voluptuously fantastic. 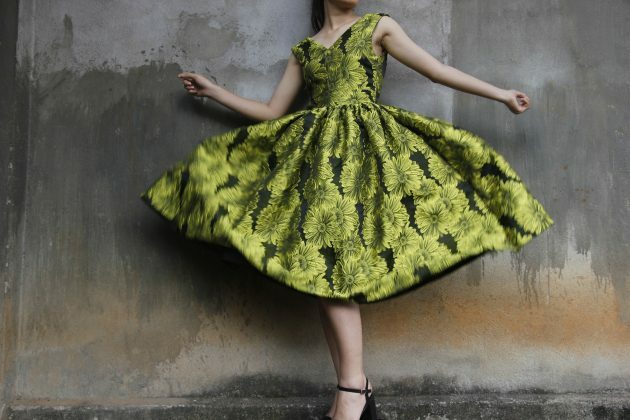 You can choose from A-line cuts, mid-length dresses, ruffled dresses, pocketed ones, or even one with embellishments. The A-line dress is a classic. It offers a silhouette that goes well with various cuts. You can choose from A-line dresses with straps, no straps, sleeves, and halter styles. What gives this style a timeless look is its waistline paired with a full skirt that gives off the illusion of full hips. Not really into revealing much skin? A long-sleeve cocktail dress may be the right choice for you. Long-sleeve dresses usually scream sophistication. It can be paired with various materials and embellishments for added style. Long-sleeve lace dresses and sequins long-sleeve dresses are great options for an elegant evening.